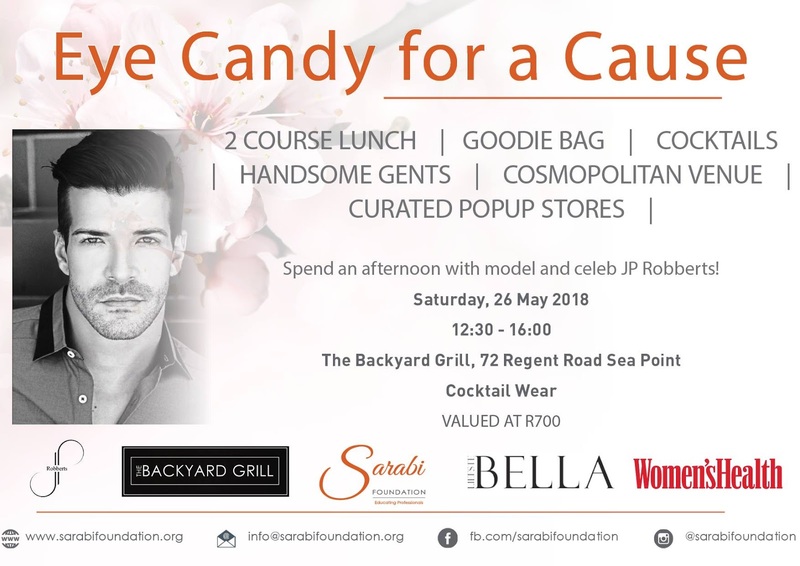 Home » Competition » South Africa » GIVEAWAY | WIN 2 tickets to the anticipated Eye Candy for a Cause ladies lunch! GIVEAWAY | WIN 2 tickets to the anticipated Eye Candy for a Cause ladies lunch! Celeb JP Robberts will be your host along with gorgeous gents serving you a 2 course lunch, drinks on arrival, wine on demand…the perfect BFF day out! Simply tag the friend you would like to take, like the Sarabi Foundation Instagram and Facebook pages and share the post to stand a chance to win! And remember to invite your friends.